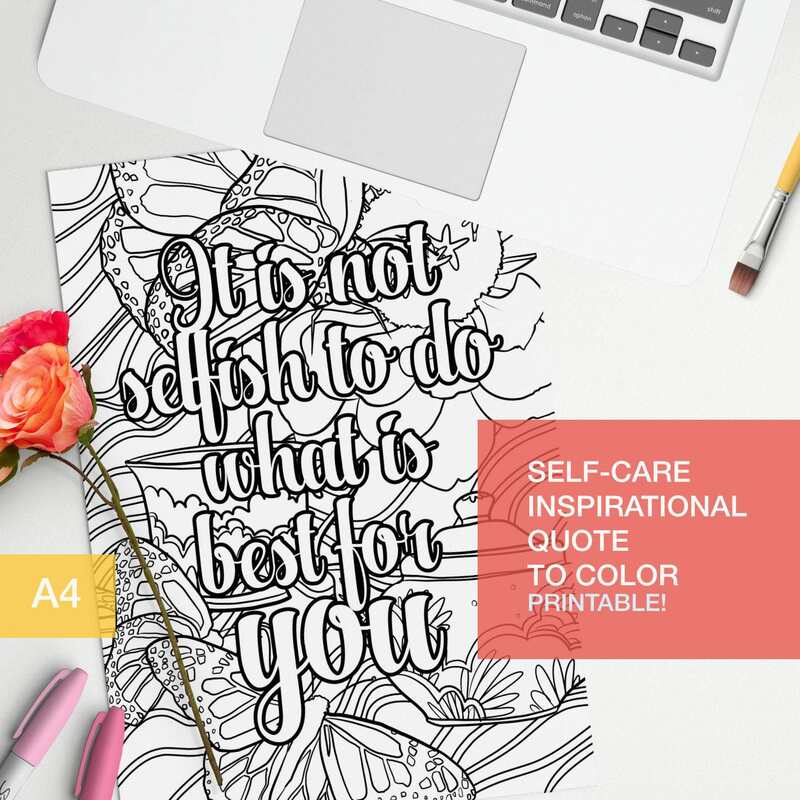 Adult color book inspirational quote "It is not selfish to do what is best for you" with tea, cups and butterflies. Make your own inspirational art! !